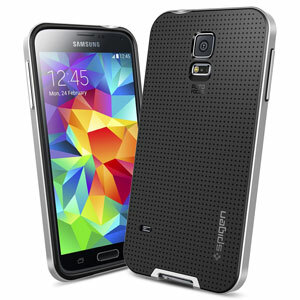 Mobilefun.co.uk have sent across the Spigen SGP Neo Hybrid Case for Samsung Galaxy S5. Having recently looked at the tough armour case for the iPhone 5 / 5S it seemed logical to have a look at something the Galaxy S5. The Galaxy S5 Neo Hybrid is an assembly-type case with a TPU back cover and a polycarbonate frame. The TPU cover provides supreme durability and shock protection for your phone, while the UV coated polycarbonate frame adds additional strength and rigidity to the case. The soft case also prevents any damage that might be caused by removing or attaching the case. You can purchase on for £19.99 from Mobilefun.co.uk.